100 Carbonless duplicate pages sequentially numbered. Copy (bottom page) perforated. Fully laminated front and back cover. Back cover folds over to prevent bleed through between sets. Durable plasticoil spiral binding allows notebook to lie flat. 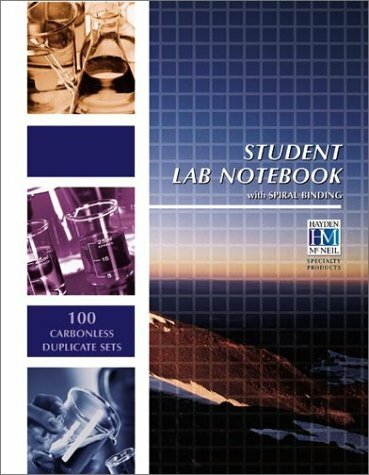 Cover contains most up-to-date Periodic Table and general lab reference information. Table of Contents page and How to Keep a Laboratory Notebook guidelines included.